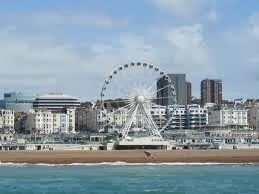 Brighton is one of the best and most popular seaside resort and fascinating city in UK. The place is well known for its amazing architecture with romantic candle light dinner at night. It is one of the best romantic destinations and has enough to offer to the couples. It has really unique, vibrant and colorful scenery to look upon with the rich cultural heritage and lots of seaside fun. You can also find a beautiful Sussex Countryside with tranquil green spaces, forts, parks and gardens. A visit to this place can be done in any month of the year. Every season has its own attraction. There are various festivals organized in almost all the seasons like the Brighton and Hove food festival during the spring season. Summer is considered to be the time when various events like Brighton Bike Ride and Vintage Car rallies are organized. The couples can visit the city at a time which offers the best for them. You can visit this place and enjoy the seaside fun. The palace pier also consists of the wreck of the West Pier which is a result of a recent burn down. 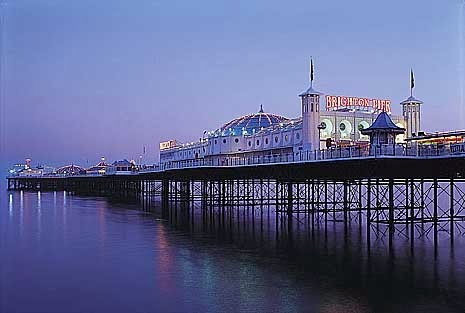 The pier is located at the southern part of the Old Steine, at the foot of the Grand Parade. The beach is a beautiful place consisting of colorful pebbles and is the major attraction of tourists. You can enjoy the launching of the flaming lanterns into the air in the summer evenings and view the adorable image of the Poi twirlers at the sunset. The pebble beach provides a gateway to a flat sandy seabed where you can go for a walk in the evening with your partner. It is a place full of the cities historical and cultural features which best describe the rich heritage of the place. It also consists of an excellent collection from some of the international artists. Both of you can go and explore the place to have sufficient knowledge of the city. It is an interesting architectural palace by John Nash, transformed during 1815 to 1823. The palace reflects the Indian theme to its exterior and the Chinese theme in the interior decor. Thinking of the honeymoon stay, the place offers a wide range of hotels and resorts. You need to make an early booking for a perfect and comfortable stay. 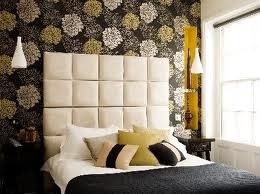 The major hotels include the Neo hotel, Grapevine seafront abbey Hotel and the New Steine Hotel. 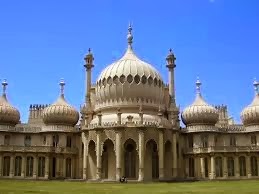 The honeymoon couples can explore the city of Brighton in numerous ways. 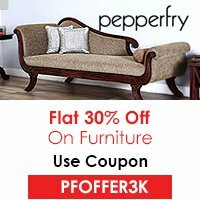 Just go through the above article and select this place for an amazing trip.